A book for the children: an alphabet of terrible advice. Another reason to go to Paris - like you needed one. 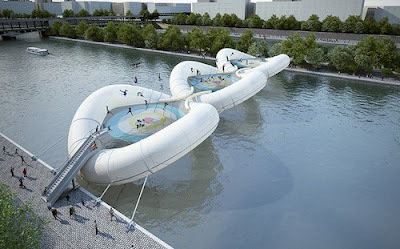 An art installation of an inflatable trampoline bridge across the river Seine. Costume books released by the Metropolitan Museum of Art online. 25 most devoted fan bases. Seriously interesting. Fans of the show 'Community' come in at no.13.